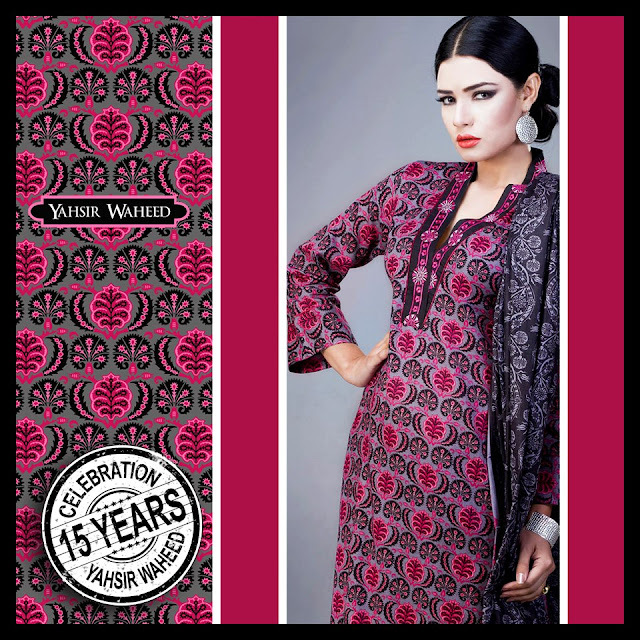 Yahsir Waheed Recently launched his Lawn collection 2013 for women. Yahsir Waheed is an old name in Pakistan fashion industry and his fashion house was was founded in 1998 that provides exclusive fashionable clothing for Pakistani women and their clients abroad. Yahsir Waheed is very experienced in his field and no doubt a very professional fashion designer. 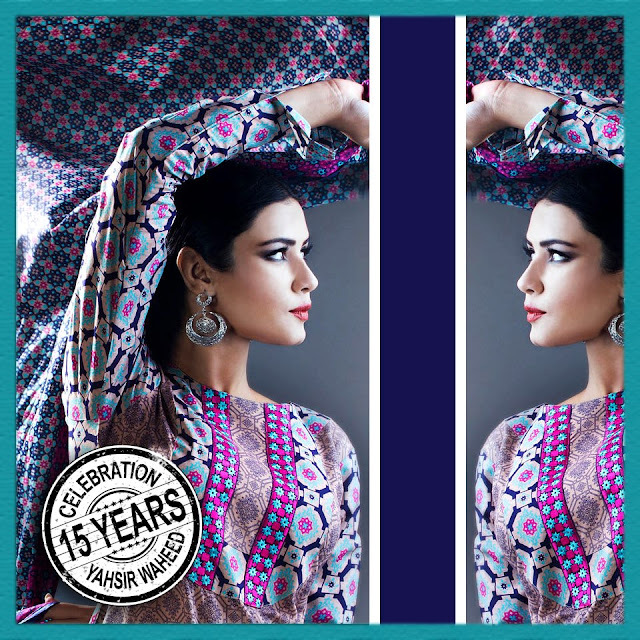 His work is being admired by many people in Pakistan specially women have an amazing attraction towards his collections. Yahsir Waheed works on unique ideas and his design team is also very talented and professional in their field. They have a deep eye on latest fashion trends which they use and brings out a creative work for their clients. Quality and style is a thing that is very necessary today and no one can get on the road of success if there is lack of any one of these two. Now every one wants quality dresses with latest styles so she can mix her up is today’s modern society. This is what Pakistani designer are doing as they are very determined to provide quality and style to people satisfying them regarding their fashion desires.